Below, you will discover valuable tips that will help you make informed decisions about your Duluth real estate & mortgage financing! My name is Tamie Platts and I want to thank you for taking the time to visit my website today. I am dedicated to seeing you succeed with all of your home financing goals and have designed my website to provide you with the information you will need to assist you, whether you are purchasing a new home or refinancing your existing Duluth mortgage! I am a Duluth mortgage consultant, proudly serving all of Metro Atlanta, and the surrounding communities. Whether you are planning to purchase your first home, your next home, your dream home, a vacation home or an investment property with a Duluth home loan, you will find all of the information you need right here on my website! 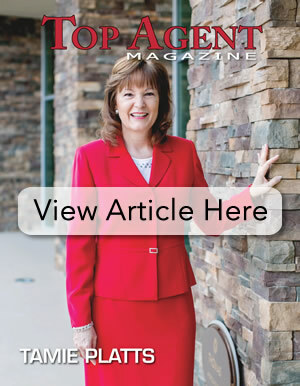 I am proud to offer my expertise and resources to every client, including my insider secrets that will allow us to choose the best Duluth mortgage program for your current financial situation and future homeownership goals. I make the entire process quick and painless for everyone – first time homebuyers, small business owners, homebuyers with less-than-perfect credit. With me on your side, you will secure the perfect financing for the home you want. Make sure to fill out the form above and register to receive my Free Homebuying Guide and Insider Mortgage Reports. This valuable information, in combination with the other tools I have provided on this website in the Resources section. A credit score is a numerical calculation based on a number of factors that helps Metro Atlanta mortgage lenders decide whether you are a risk to lend money to for your Metro Atlanta home loan. If your score falls below 600 you will probably have trouble getting credit for Metro Atlanta real estate and if you do you will be expected to pay higher mortgage rates due to the risk involved. Scores over 720 are regarded as excellent and you can expect to get good Duluth loan rates. Often you can discuss your situation with the Duluth lender even when you have a low score and still get them to finance you at reasonable rates. Whichever Duluth mortgage broker you decide to work with, you should be able to receive a copy of your credit report from them to review and check for any errors. You have the right, under the Fair Credit Reporting Act, to dispute the completeness and accuracy of information in your credit file. If you have had credit problems, be prepared to discuss them honestly with your Duluth mortgage professional and come to your application meeting with any necessary written explanations. Responsible Duluth mortgage professionals know there can be legitimate reasons for credit problems, such as unemployment, illness or other financial difficulties. Have a Quick Real Estate or Mortgage Question? Simply click on the “Ask a Question” button below to send us a message by email or feel free to call me at 770-235-9907. I am always more than happy to help with all of your Duluth mortgage needs! If you are ready to get started on your mortgage process now, use my FREE no-obligation secure online loan application to get started today! Before you leave, make sure you review the Duluth Home Loan Buying Resources, Insider Reports and our Duluth mortgage calculators. All of these tools, as with everything else on this website, have been designed to help guide you through the home buying process to you avoid making costly mistakes along the way. For a free no-obligation consultation regarding your credit or any other Duluth Mortgage Loans or real estate questions, please don't hesitate to call me at 770-235-9907. Your trusted Duluth Mortgage Lender. We are proud to provide service to clients statewide, including Duluth and every other city and town in Georgia. "Tamie and her team were wonderful to deal with for the refinance of my home. 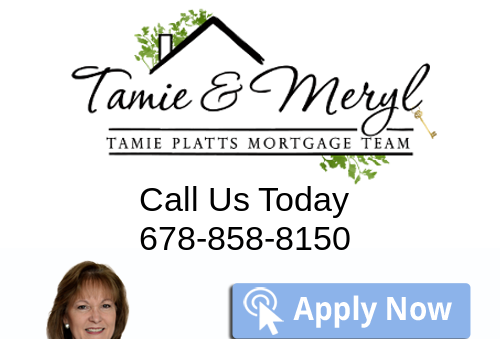 Buying a home or refinancing can be so stressful and nerve racking but I ... more "
"Tamie and her staff did everything within their power to provide me with a professional and exceptional service. From helping you complete the loan ... more "